Triple Beam Balance & Double Beam Balance, which one to choose? 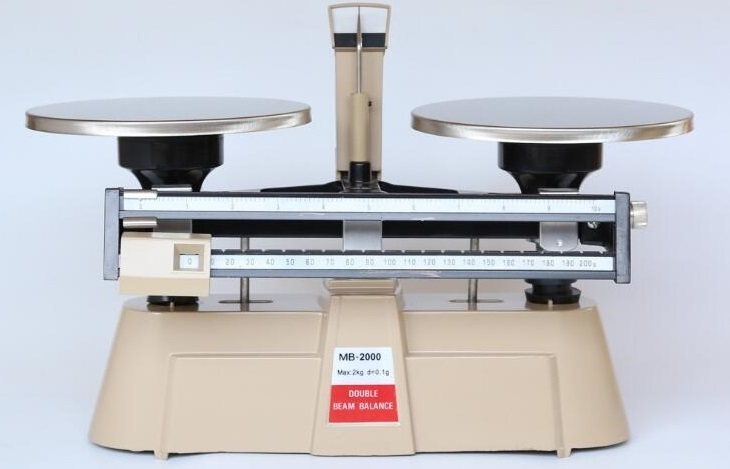 Both the triple beam balance and double beam balance are mechanical balance, designed for measuring the weight of an object, and are commonly used in the classroom to teach students the basics in mass and weight of objects. However, several differences separate the triple beam from the double beam balance. A triple beam balance is an instrument that can weigh objects, and derives its name from the three beams that carry the weights – one that reads in 100-gram increments, one that reads in 10-gram increments, and one that reads from zero to 10 grams, which can be further broken down into tenths of a gram. A double beam balance, also called a double pan balance, is a scale that acts like a see-saw and gets its name from the two pans or balances on either side of a fulcrum. The triple beam balance has three beams, while the double beam only has two. Additionally, the triple beam balance has only one pan and the double beam has two. The triple beam balance is a very accurate instrument and can measure within a tenth of a gram. However, the double beam is only as accurate as the smallest weight being used. For example; if the smallest weight you have is a 5-gram weight, then you can only estimate the weight of an object to the nearest 5 grams. Additionally, the double beam is most convenient when you want to weigh two objects to determine the difference in weight between them, rather than weigh them for exact measurements. If you want to find an exact weight of an object, the triple beam is your best bet. If you are simply deciphering between two objects to see which is heavier, the double beam is the way to go. By the same token; if you use the double beam and you have a known weight of an object, and want to see how much of another object it takes to equal the first object’s weight, use to double beam. For example; if you have a 30-gram weight and wanted to see how much sand equals those 30 grams, place a 20-gram weight and a 10-gram weight on one pan, then place sand on the other pan until both pans balance out.